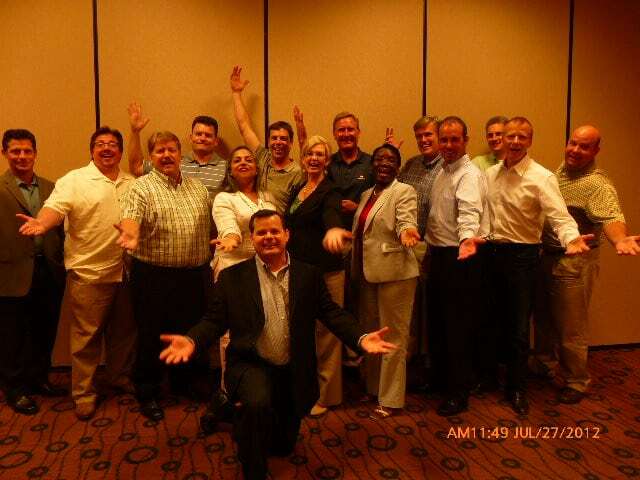 It was a blazing 100+ degree outside in Atlanta, Georgia, but the participants in the Leaders Institute’s Fearless Presentations Workshop learned how to keep their cool when the pressure to deliver great presentation is on. One of the best ways to keep your composure is to only focus on the smiling faces in the crowd. Most of us focus on the people who are not giving us positive feedback with their eyes and body language, which will cause us to lose our focus and confidence. The reason typically is because we think that it’s our presentation that is causing them to sit there with sour looks on their faces or worse, looking totally uninterested. The one thing that a speaker cannot control is the mental state of the person coming to their presentation. If the person just got a driving ticket, had an argument with their spouse, financial issues, or pressures at work, they are going to have a very difficult time giving you their attention at the beginning of your speech. The best thing you can do is to focus on the people who are giving you positive feedback and the others hopefully realize that they are missing out on something very helpful for them. If they never do come around, just realize that you can’t motivate anyone for your reasons. They are only motivated for their own. Just focus on the people who are allowing you to influence them.